Finch bird is become popular to be pet animal because they are easy-benign and also has beautiful tweet. Because their popularity, many people both which beginner and veteran try to raise this bird for profit. By this fact, it makes them raise multiple finches at home at the same time. They usually raise it in small population around 10-20 finches. The more types they raise, the more income that they can get. But sadly they are usually limited wide of cage and time to treat them. Even finches is not spoiled bird, they still need a care, right? But did you know that there is hard thing and something that you should know to keep them at home? Of course has multiple finches are more difficult than one type. But if you can raise multiple, why you just raise on type, isn’t it? By this information, we will tell you about how to keep multiple finches at home? It all your own said when you decided to choose from where you start this activity. 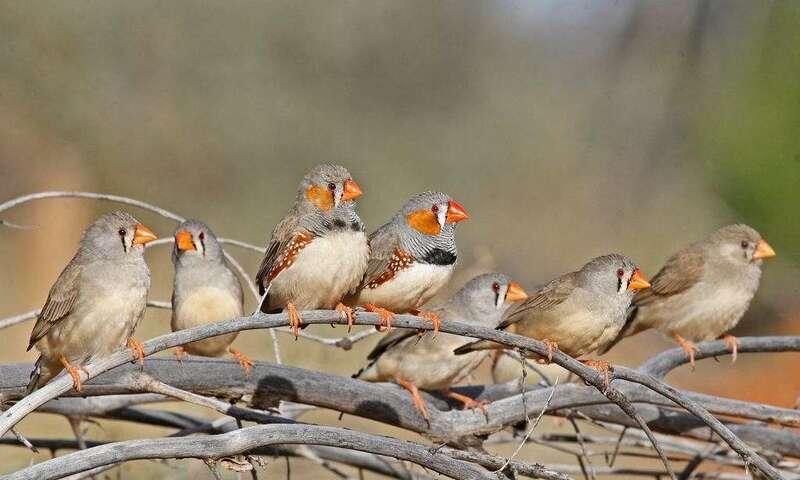 Some people who choose profit as their purpose chooses an adult pairing finches to breed raises. But some people who are choose to enjoy their tweet as purposes, mostly choose baby finches. It’s all depends what you need and what’s your purpose. There it mark point between how to raise baby and adult finches. It is only on you must to soften the food for baby finches because they don’t able yet to eat hard food. The positive thing when you pet finch since they are baby is you are easier to getting used with him. Even the finches are easy-benign animal to make him getting used with you, it still need a time to do it. Well after look this fact if you want to raise it as profit, baby finch shouldn’t be your choice because it will take times too long. It is become important thing that you should know to pet finches. It is not meaning to underestimate another type, but in the fact, finches include pricey-finch list bird cause their special. Let’s say their feathers and tweets are two reasons why people are want this bird. Because their pricey value, people are mostly treat them so special. They don’t want other wild bird ruining their finches during imitation process. As we know that finches are good imitator. They will do it better if they can be focus in one model. Let’s imagine if there are many models that they heard. It will be ruined their ear right? So if you are pet finches to enjoy their tweet, you better leave them from other wild finches. This step can you started with pick a good point to place their cage. Beside to avoiding you finches from too noisy voices, this method can avoid them to escape from their cage. Sometimes they don’t just hear the voice but also learn how to escape by see their ‘colony finches’. It decreases opportunity for them to following their colony during their natural habitual life. And where should I place their cage? The right point to place their cage to make them closer with you is in the side which often passed by you and your family. It purposes to trigger them to learn something new and also to make them aware that they are now as a pet animal inside home. It makes them to stay in the cage and decrease their want to not escape anymore. It purposes to trigger them to learn something new and also to make them aware that they are now as a pet animal inside home. It makes them to stay in the cage and decrease their want to not escape anymore. It purposes to trigger them to learn something new and also to make them aware that they are now as a pet animal inside home. It makes them to stay in the cage and decrease their want to not escape anymore. Both baby and adult finches has same main food. Soft fruit like banana or papaya is theirs. Besides, they are also ate some insects like grasshopper, butterfly, caterpillar, and etc. And don’t forget to change the water commonly. Water is important thing while you treat a bird, so does finches. With using healthy and clean water, finches can rise healthy they are will avoided from some diseases. Not only that, their tweet will be louder and more beautiful when he is strong and health. You better prepare new water every morning and evening. Treat them well with good food or nice cage is not enough to decrease their stress level. Even mostly finches are good survivor it doesn’t mean they are free-stressing. Move from one environment to new place it should be not easy for them. Therefore, you need to make them getting used with you to decrease their stress. You absolutely know that stress can kill the animals, isn’t it? Then why you don’t interaction to them commonly as possible? You don’t need to spend your time every long day with them. Just keep in touch in structure. The main thing in this point is how you can show your love so they can trust to you. So even you don’t interact every day, at least they know what you mean. It is enough to make them getting used to you. Budget is main point that you should care while you keep multiple finches at home. It because pet one finch is not same with pet 10-20 finches at your home. Food, cage, vaccine, and equips should be ready and prepared well before. All budget should covered them all. The more multiple finches you keep at home, the more you need budget to cover up. Make sure that your budget is suitable with the number of finches that you take at your home. As mentioned above that finches need daily treatment every day and evening. You better schedule how to manage it in order to make it effectively and all you finches got the same treatment each other. It must be fair at all. When you put multiple finches at your home, it means you bring a colony. Imagine if one of them is sick or moreover killed it should be impact to other. So time management is crucial thing that you must be planned well. These things are should be exist in your mind. When you decided to keep multiple finches, schedule, budget, discipline and commitment should be think and prepared well. Both of flop and victory are impact to you. So if you still feel hesitate, you better not try this. Usually we don’t have any time to take care out pets because our full time work is avoiding us. To prevent it, you better make a help staff as additional your task to treat your finches. This help staff should be careful especially for cleaning and healthy thing that related both with your finches and your family. As the title that you keep your finches at home, you should extra care about the clean issue to not impact your family.